Where do truckers prefer to stop, drive? Truckers spend a big chunk of their average day behind the wheel, but everybody has to stop sometime. Whether it's for a bathroom break, a quick meal or just to refuel, drivers are always on the lookout for great truck stops, and have long memories about which locations best met their various needs. A recent poll of drivers found that a number of truck stops throughout the U.S. - particularly those in the Upper Midwest - earned perfect ratings based on available food options, the quality of their customer service, cleanliness, fuel prices and other amenities made available to drivers (including Wi-Fi, laundry, showers, etc. ), according to Trucker Path. In all, 10 truck stops across the country earned a 5 out of 5 rating, led by the Big Horn Travel Center in Fort Worth, Texas. However, of those 10 locations, eight were located in Illinois, Indiana, Michigan, Minnesota, North Dakota, South Dakota or Wisconsin. One other stop, a Chevron station in Valmy, Nevada, also earned a perfect rating. Otherwise, highly rated stops were located all over the country, from New Hampshire to Florida, and Montana to California, the report said. All but eight of the top 100 across both the U.S. and Canada rated at least a 4 out of 5. 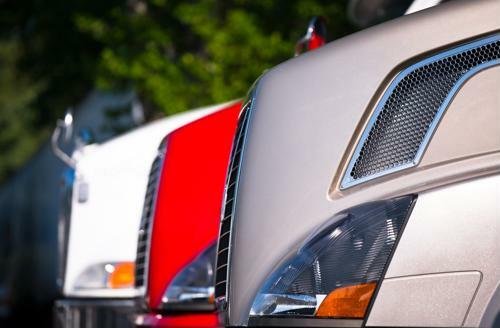 With so much attention being paid to the quality of truck stops, both because truckers are gaining a lot more bargaining power due to the way in the industry works now, thanks to the driver shortage, and companies now do more to cater to their preferences. According to WIBW, that issue is being taken into consideration in the construction of a new travel stop off Interstate 75 in Topeka, Kansas. The $1.34 million-truck stop will be built on more than 13 acres, and is planned to be completed by July 2019, the report said. While plans are not finalized because of permitting issues still being processed, the company behind the truck stop seems to have big plans to make a destination that will be popular with both professional truckers and drivers overall. Meanwhile, some states are dealing with similar issues from a very different end of the spectrum, according to NJ.com. In New Jersey, pro drivers have grown frustrated with the state's consistent traffic snarls, which took up a combined 1.2 billion hours of drivers' time in 2016 - the most recent year for which data is available. That's the equivalent of more than 425,000 drivers sitting parked for a year straight. The reason for these delays are, by and large, because the Garden State has not invested in new and improved infrastructure, as many other states have in recent years, the report said. "Many times when we see the cost go down, it means construction has been done," Rebecca Brewster, a spokeswoman for the American Transportation Research Institute, told the newspaper. "When we improve the infrastructure, that lowers the congestion cost. During that construction time, you see the costs go up because construction slows everyone down."